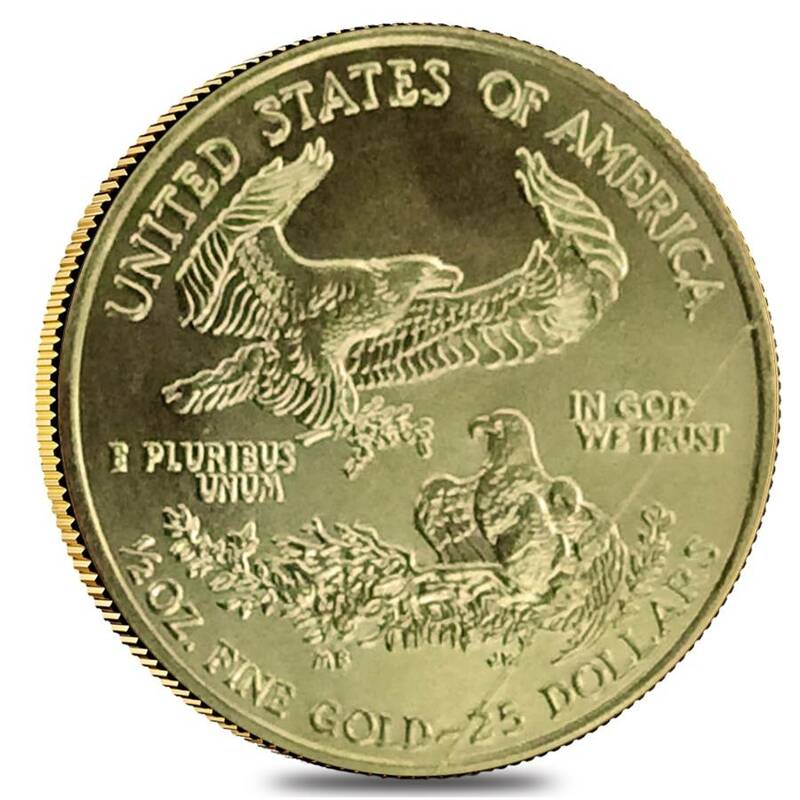 Note: These particular American Gold Eagles have abrasions such as nicks, scratches, dents, etc. Year of the coin is chosen randomly based on available inventory. 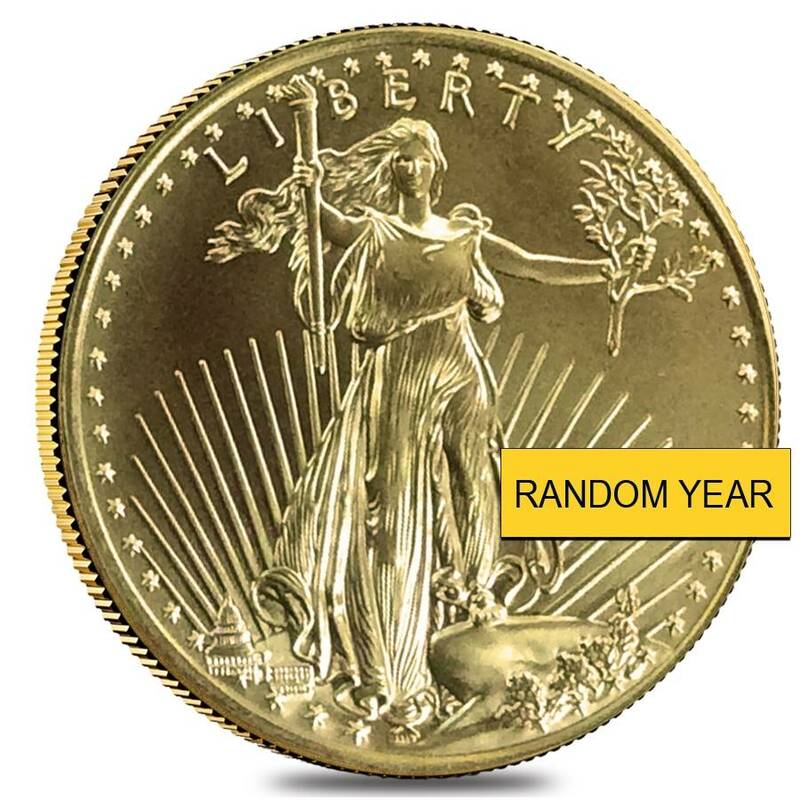 This 1/2 oz Gold American Eagle Abrasions (Random Year) will make a great addition to your collection. The year is chosen based on our available inventory. The obverse features the beloved Lady Liberty gracefully moving toward the sunlight while grasping a laurel oak in her hand. Inscriptions include “IN GOD WE TRUST,” “LIBERTY,” and the year of mintage. 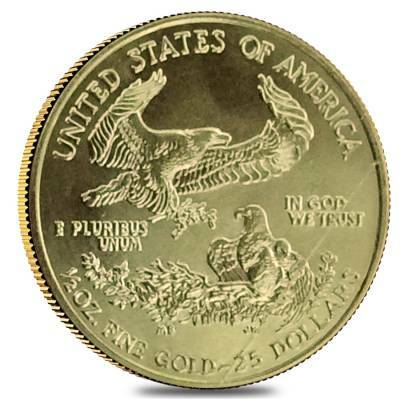 The reverse shows a flying male eagle with its female caring for their hatchlings in their nest. Inscriptions include “UNITED STATES OF AMERICA," along with the weight and denomination. For every $1 spend, you will earn 1 Bullionaire Buck which is equivalent to $0.001 off a future purchase. 667 BB = $0.67.